Pioneering space scientist David McKay died Feb. 20, 2013 at the age of 76. He trained the Apollo moonwalkers in geology and led a famous 1996 study that suggested the Mars meteorite ALH84001 may contain signs of past Red Planet life. David S. McKay, a pioneering NASA scientist in moon and Mars research, astrobiology and space resource utilization, has died, leaving a legacy of work that will continue to shape the future of space exploration. He was 76. 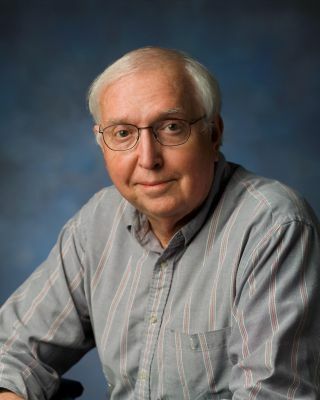 McKay, who served as chief scientist for astrobiology at NASA's Johnson Space Center in Houston,died peacefully in his sleep on Feb. 20 after battling serious health issues for several years. As a graduate student, McKay was in the audience at Rice University in September 1962 when President John F. Kennedy gave his legendary "We choose to go to the moon" speech that put America solidly on a lunar trajectory. The media spotlight shone more brightly on McKay after the Apollo era, primarily because of his work on the "Allan Hills" Mars meteorite, also known as ALH84001. McKay was lead author of a 1996 paper in the journal Science that suggested ALH84001 may contain evidence of past life on Mars. The claim still spurs controversy, but it also sparked a shift in perspectives that is alive and well within NASA today. "Whether one accepts their arguments or not, it has led, directly or indirectly, to investigations seeking and finding signs of life in the most extreme environments. History will judge the value of that rather serendipitous outcome, but it seems clear that its significance is, and will remain, great," said David Draper, manager of the Astromaterials Research Office at Johnson Space Center. David McKay was a valued friend of this reporter, particularly over the years following the ALH84001 uproar. Like many others, I will miss his guidance about the exciting and provocative dynamics of astrobiology. Controversial Mars rock aside, I benefited from McKay’s cutting-edge thinking on developing and utilizing space resources for churning out fuel, metals, ceramics, oxygen and food to support advanced manned missions, be they for a lunar base or to support human sojourns to Mars. McKay developed innovative new technology for both life detection and the use of lunar regolith as feedstock, radiation protection, fuel, nutrient source for microbial bioreactors and long-term lunar habitation. McKay was a great advocate for science and exploration, said Bernard Foing, a scientist at the European Space Agency and executive director of the International Lunar Exploration Working Group. The development of lunar simulants for testing and validating new lunar technology. Evaluation of the potential hazards of exposure of humans to lunar dust, asteroidal regolith, and Mars regolith. In-situ Resource Utilization (ISRU) technology development aimed at producing oxygen, propellant, water, useful gases and construction materials for use on planetary bodies or for export into space. Lunar science needs to be funded at a higher more realistic level. "We will eventually return humans to the moon and possibly send them to asteroids and Mars," McKay said in the 2010 discussion. "We need to concentrate on getting ready. Renewed emphasis on robotic missions is a proper step." "Dave's great contributions to the world of science were not only his insight into the lunar regolith/soil forming processes, but even more significantly to the huge numbers of great students and postdocs and colleagues that he nurtured and provided into lunar science. Having effectively been one of these scientists who worked and researched and published with Dave, the world is a far better place from having had his unique presence …a true teacher and academician. We will all miss him, especially his 'students.'" Leonard David has been reporting on the space industry for more than five decades. He is former director of research for the National Commission on Space and a past editor-in-chief of the National Space Society's Ad Astra and Space World magazines. He has written for SPACE.com since 1999. Follow SPACE.com on Twitter @Spacedotcom. We're also on Facebook & Google+.